Between the first flights at Kitty Hawk and the opening guns of WWI, the design and construction of aircraft and engines became a global industrial enterprise. 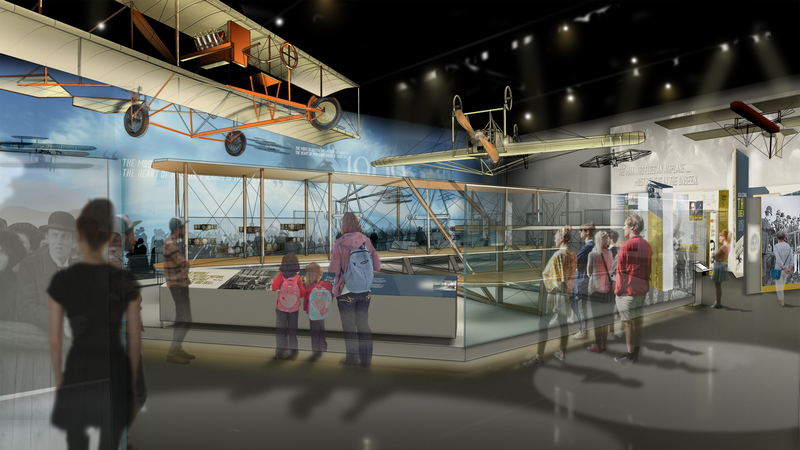 The Early Flight exhibition will use artifacts such as the 1909 Wright Military Flyer and the Bleriot XI to explore the impact of the airplane on politics and international relations. Mechanical interactives will allow visitors to operate different types of control systems and interact with digital representations of early aviation pioneers.